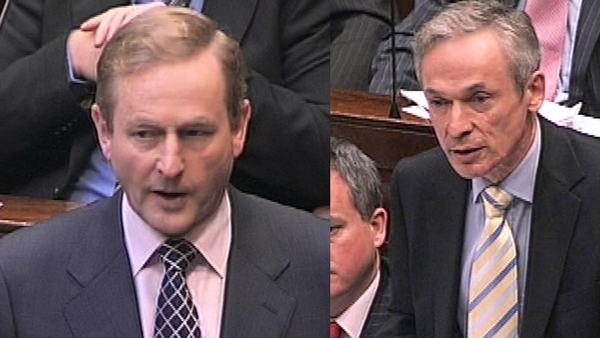 Fine Gael leader Enda Kenny has said he is thrilled and relieved to have won a vote of confidence in his leadership. Mr Kenny was speaking after a meeting of the Fine Gael parliamentary party at Leinster House. The chairman of the Fine Gael parliamentary party, Padraic McCormack, said the motion was carried but that he would not be disclosing the exact result of the secret ballot. Mr Kenny said he would not appoint a new frontbench on Monday, but would take more time to reflect before deciding its make-up. He also said his friendship with Richard Bruton, who had challenged his leadership, was not broken and that the party could now move on united. Mr Bruton, the party's former spokesman on finance, said he would accept the democratic decision of the party but he declined to comment on whether he would serve on Mr Kenny's frontbench. Simon Coveney, TD for Cork South Central, had supported Mr Bruton, and tonight said his future role in the party would be determined by Mr Kenny. He said he accepted Mr Kenny had been endorsed as party leader. The leadership challenge came after 11 members of the 19-member frontbench nominated by Mr Kenny publicly said they had lost confidence in the leadership. 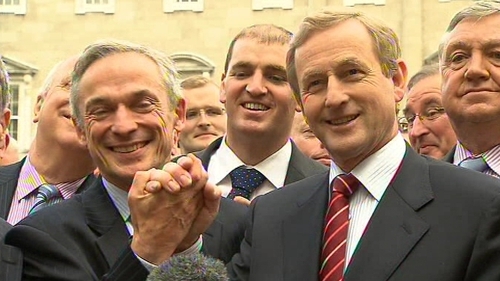 Simon Coveney, Denis Naughten, Olwyn Enright, Olivia Mitchell, Fergus O'Dowd, Michael Creed, Billy Timmins, Leo Varadkar, Brian Hayes and Richard Bruton all said they had no confidence in Mr Kenny's leadership. Mr Kenny offered something of an olive branch in an interview on RTÉ's Six One News yesterday, suggesting that he might find places for his opponents in a new-look frontbench.